Morning sickness is very common in pregnant women. 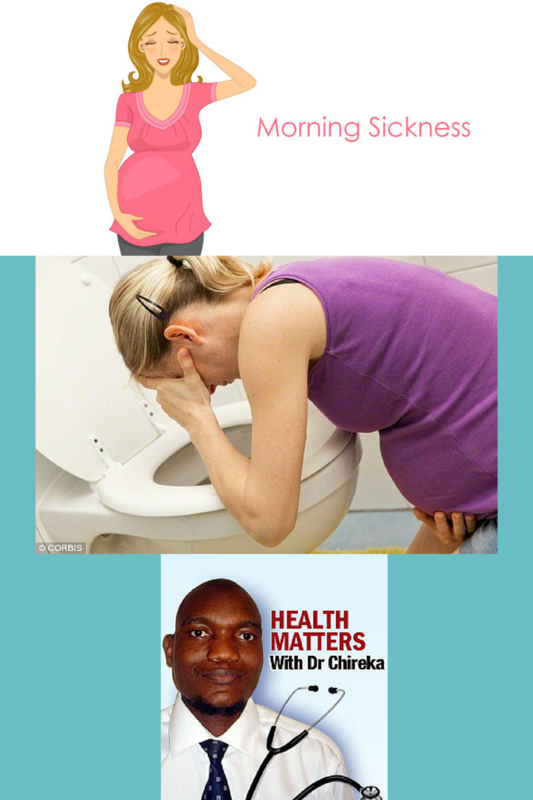 It affects up to 70% pregnancies so we need to raise awareness about morning sickness. The term morning sickness is often used to describe this condition when symptoms are relatively mild, temporary, and more troublesome than serious. Most sickness occurs in the early hours of the morning but can occur at any time so this term morning sickness can be misleading. Although a common condition the cause of pregnancy related nausea and vomiting remains unclear, and it is likely that multiple factors contribute. Theories include high levels of hormones produced by the placenta during pregnancy, multiple pregnancy, low blood sugar and vitamin deficiency to name a few. Symptoms typically begin at 6 to 8 weeks of pregnancy and are usually limited to the first trimester (12th week), although a small percentage of women can experience symptoms for longer. Some may even suffer throughout the whole of their pregnancy. Although there is no evidence that nausea and vomiting in pregnancy can be prevented, vomiting during pregnancy sometimes may be lessened by lifestyle changes. How do you manage morning sickness? Men we are called to action to help our partners during this time. We need to allow them to rest as tiredness can make the sickness worse. If the sickness is mostly in the morning then we should allow our partners time to get up slowly and give them something like dry toast or plain biscuit in bed before they get up. We must encourage them to drink plenty of fluids, such as water, and sipping them little and often rather than in large amounts, as this may help prevent vomiting. On eating they must eat small, frequent meals that are high in carbohydrate (such as bread, rice and pasta) and low in fat. Most women can manage savoury foods, such as toast, crackers and crisp bread, better than sweet or spicy foods. They can eat cold meals rather than hot ones as they don’t give off the smell that hot meals often do, which may make them feel sick. We have to avoid foods or smells that make them feel sick. No drinks that are cold, tart (sharp) or sweet . We should be their helper but if we cannot then we need to ask the people close to us for extra support and help – it helps if someone else can cook, but if this isn’t possible, it’s better to go for bland, non-greasy foods, such as baked potatoes or pasta, which are simple to prepare. We need to chat with our partners so as to distract them, as much as we can – the nausea can get worse the more they think about it. We have to understand that they must wear comfortable clothes without tight waistbands. Sometimes just being there holding their hands even if we do not know what to do is better than not being there .There is some evidence that ginger supplements may help reduce nausea and vomiting so why not try ginger biscuits or ginger ale. I hope this will empower you as you honour your special woman in your life. If the vomiting gets worse then we must seek urgent medical help as the baby may be affected if the mum is now dehydrated. When we have tried the above and the nausea and vomiting persists then we need to seek health professional advice. At times hospitalisation may be needed to treat this morning sickness. We must not ignore it as it will affect the wellbeing of the baby. I would love to hear from you about your experiences and how you have managed to cope with morning sickness or supported your partners.